Here are the WWI caps and balaclavas that I can make. Each one is made from the original WWI pattern. Many colors are available in pure wool. Please contact me to custom order yours or with any questions. Caps and balaclavas range in price from $35 to $50. This is Helmet A, which is the model preferred by the Red Cross Society, although models B and C are also accepted. Helmet A again. 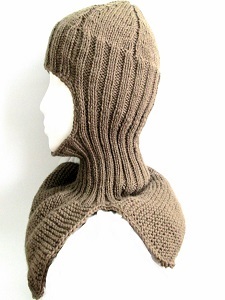 I knitted this one in khaki color. 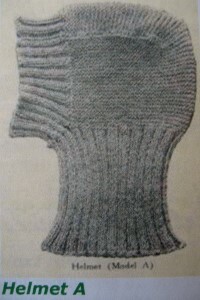 Here is the Helmet A that I knitted from the original WWI pattern in gray wool. Red Cross Helmet B with chest and back protector. 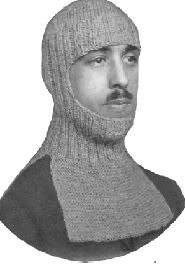 Here is another photo of my knitted reproduction of the Red Cross Society Helmet A from the Great War. 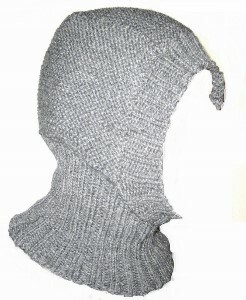 Here is a Helmet B that I knitted. This is Helmet B that I made without the back and chest protector parts. 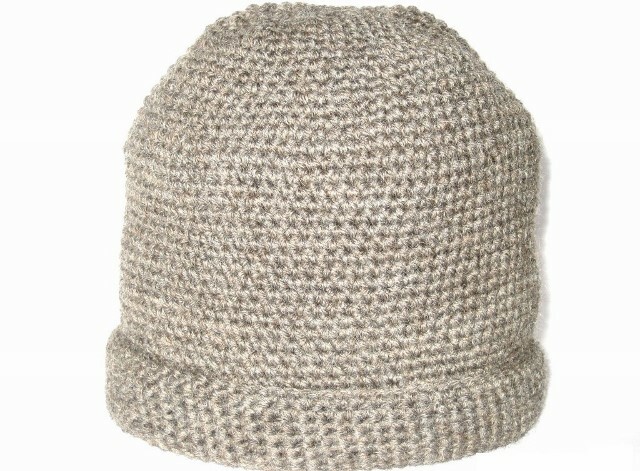 This is basic gray wool color. This is Red Cross Helmet model C. It is a simple design. This is called Simple Helmet. It is a form-fitting, smooth design. Side view of the Simple Helmet I made. Again, the neck part bunches because of the plastic model head I use for photos. 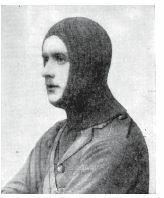 Here is a similar model to the Simple Helmet, but with cape pieces. 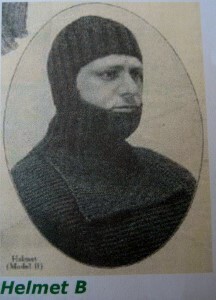 This is called the Peary Helmet. It is similar in design to Helmet A. This Seamen's Helmet is just about the same as Helmet B. 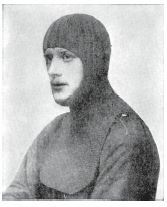 This is an aviator or navy men's helmet. Again, it is similar to Helmet B and the Seamen's Helmet. 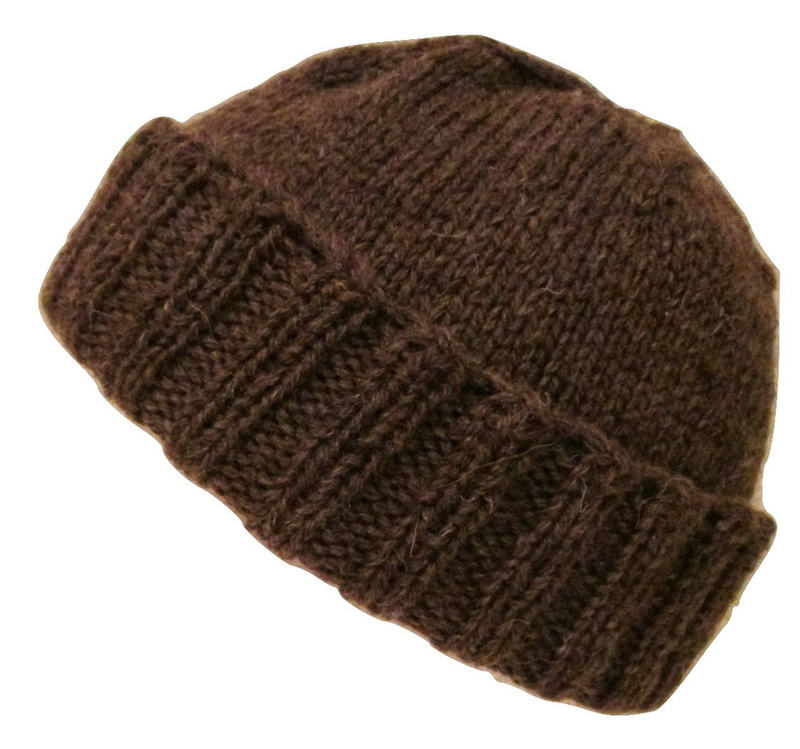 A Trench Cap that I knitted in brown wool. 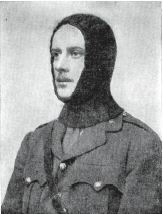 This is the same Trench Cap but with the cuff rolled up. 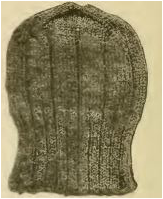 You can see the Trench Cap is similar to the Skull cap below, but has different shaping at the top and also is a little longer. 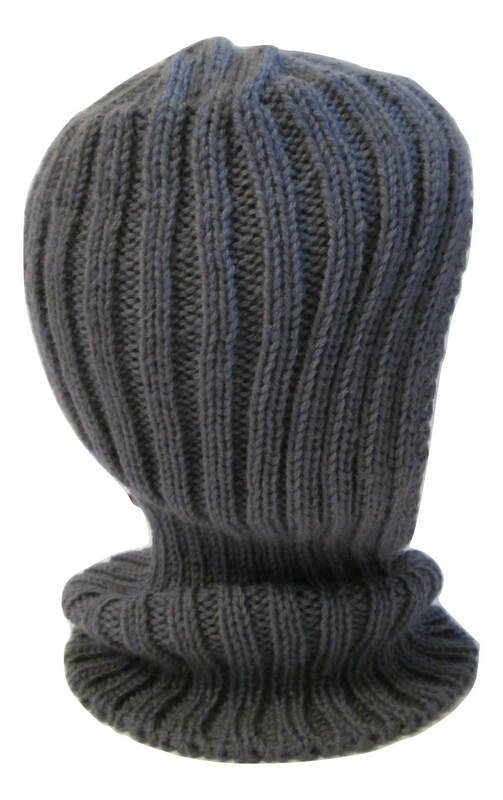 Here is a Sleeping Helmet/Balaclava. 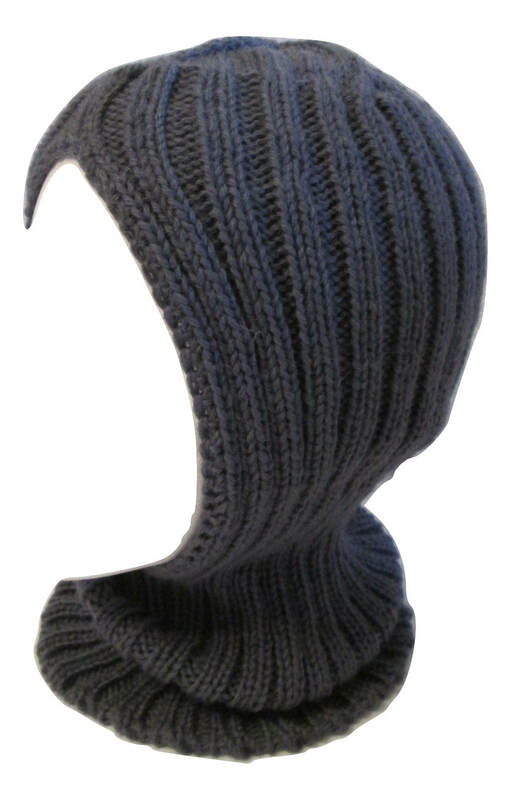 Here is what's called a Skull Cap. 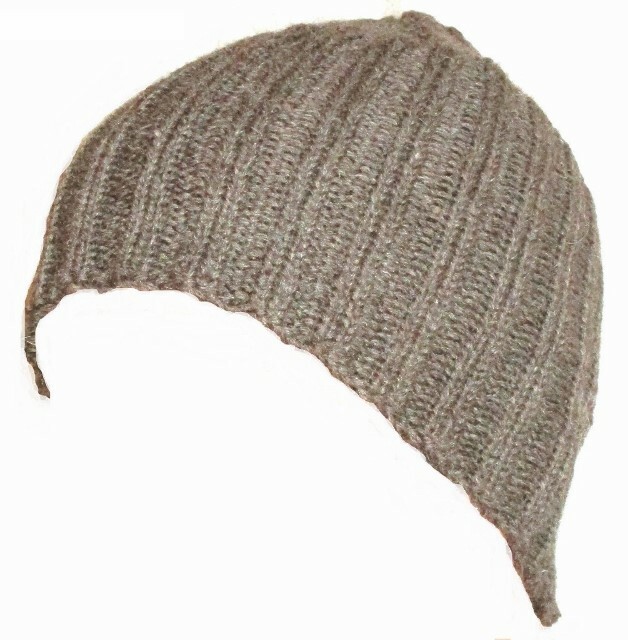 The Skull Cap that I knitted using brown wool. This muffler folds up into a cap (shown at right). 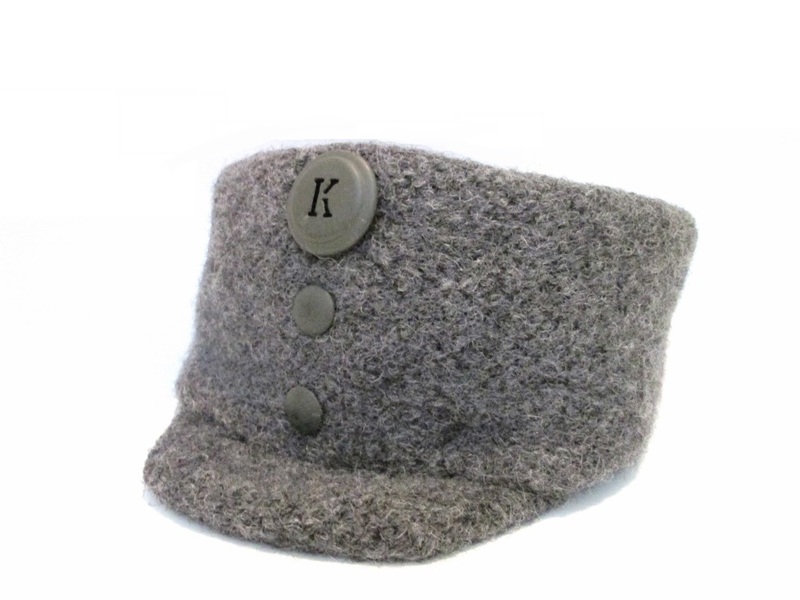 The muffler at left folds up into a cap. 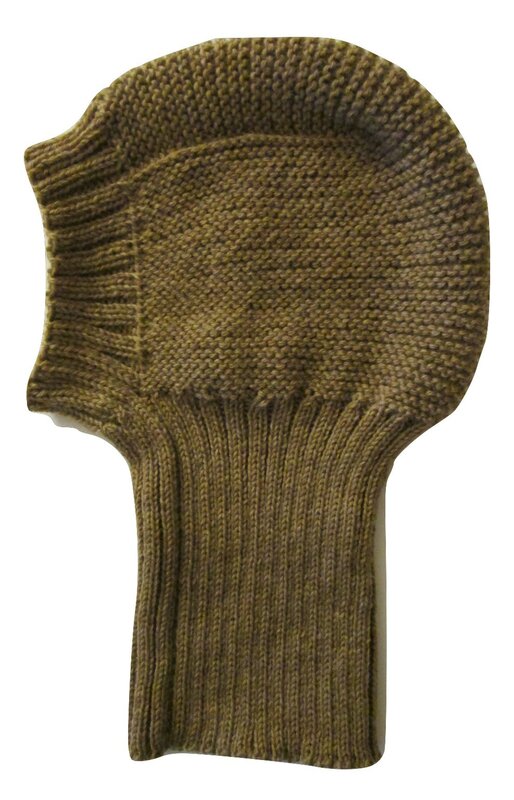 This is an Austro-Hungarian balaclava and cap combo that I made. I worked from original photos and my customer supplied the buttons. 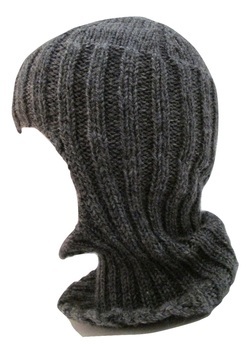 Here is the Austro-Hungarian balaclava folded up into a cap. I knitted it using wool and then felted the wool. More items will continue to be added as I work through the rest of my patterns.